Update: I'll be answering questions about the S3700 live from this year's SC12 conference. Head over here to get your questions answered! When Intel arrived on the scene with its first SSD, it touted superiority in controller, firmware and NAND as the reason it was able to so significantly outperform the competition. Slow but steady improvements to the design followed over the next year and until 2010 Intel held our recommendation for best SSD on the market. The long awaited X25-M G3 ended up being based on the same 3Gbps SATA controller as the previous two drives, just sold under a new brand. Intel changed its tune, claiming that the controller (or who made it) wasn't as important as firmware and NAND. Then came the 510, Intel's first 6Gbps SATA drive...based on a Marvell controller. Its follow-on, the Intel SSD 520 used a SandForce controller. 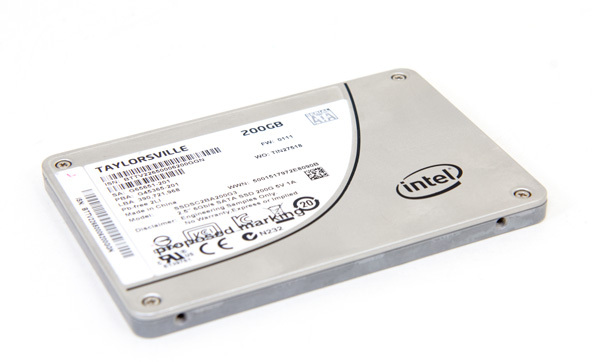 With the release of the Intel SSD 330, Intel had almost completely moved to third party SSD controllers. Intel still claimed proprietary firmware, however in the case of the SandForce based drives Intel never seemed to have access to firmware source code - but rather its custom firmware was the result of Intel validation, and SandForce integrating changes into a custom branch made specifically for Intel. Intel increasingly looked like a NAND and validation house, giving it a small edge over the competition. Meanwhile, Samsung aggressively went after Intel's consumer SSD business with the SSD 830/840 Pro, while others attempted to pursue Intel's enterprise customers. This is hardly a fall from grace, but Intel hasn't been able to lead the market it helped establish in 2008 - 2009. The SSD division at Intel is a growing one. Unlike the CPU architecture group, the NAND solutions group just hasn't been around for that long. Growing pains are still evident, and Intel management isn't too keen on investing heavily there. Despite the extremely positive impact on the industry, storage has always been a greatly commoditized market. Just as Intel is in no rush to sell $20 smartphone SoCs, it's similarly in no hurry to dominate the consumer storage market. I had heard rumors of an Intel designed 6Gbps SATA controller for a while now. 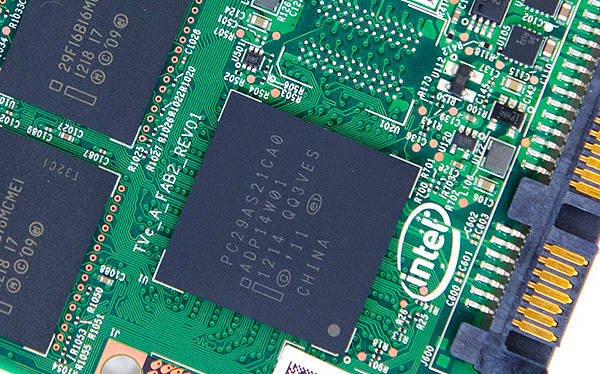 Work on the project began years ago, but the scope of Intel's true next-generation SATA SSD controller changed many times over the years. What started as a client focused controller eventually morphed into an enterprise specific design, with its scope and feature set reinvented many times over. It's typical of any new company or group. Often times the only way to learn focus is to pay the penalty for not being focused. It usually happens when you're really late with a product. Intel's NSG had yet to come into its own, it hadn't yet found its perfect development/validation/release cadence. If you look at how long it took the CPU folks to get to tick-tock, it's still very early to expect the same from NSG. Today all of that becomes moot as Intel releases its first brand new SSD controller in 5 years. This controller has been built from the ground up rather than as an evolution of a previous generation. It corrects a lot of the flaws of the original design and removes many constraints. Finally, this new controller marks the era of a completely new performance focus. For the past couple of years we've seen controllers quickly saturate 6Gbps SATA, and slowly raise the bar for random IO performance. With its first 6Gbps SATA controller, Intel does significantly improve performance along both traditional vectors but it adds a new one entirely: performance consistency. All SSDs see their performance degrade over time, but with its new controller Intel wanted to deliver steady state performance that's far more consistent than the competition. I originally thought that we wouldn't see much innovation in the non-PCIe SSD space until SATA Express. It turns out I was wrong. Codenamed Taylorsville, it's time to review Intel's SSD DC S3700.